This is a 12" Coral wood cut out covered in shells from NJ. Color may differ slightly from the photo. 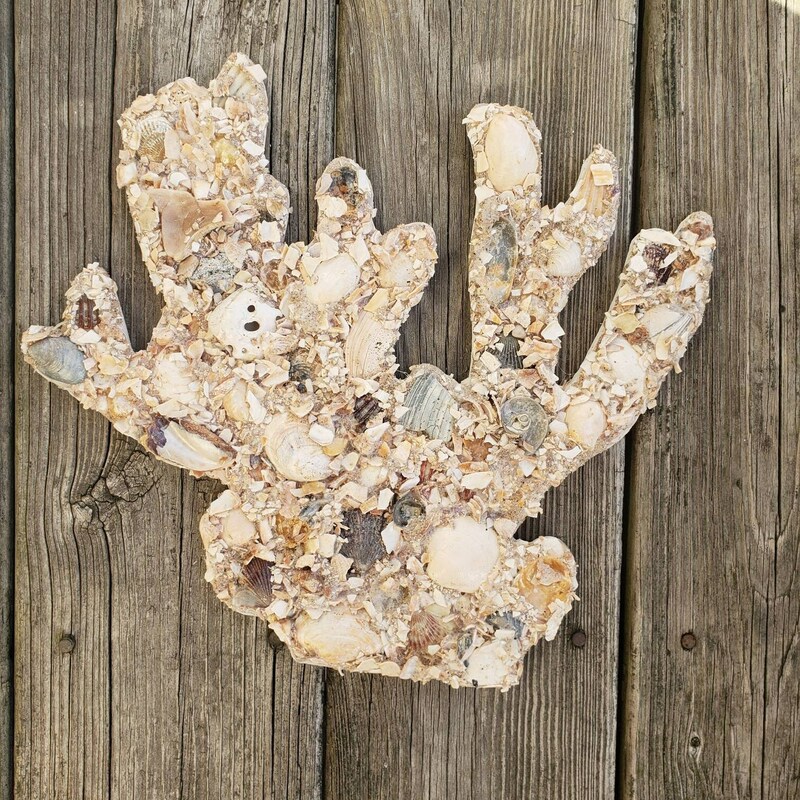 The sand and shells are all natural and come from different beaches in NJ. Due to that fact, the sand and shells may vary in color, shape and size.